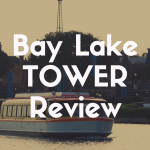 You are here: Home / Attractions / What Are the Best Disney World Attractions for Adults? Walt Disney World is a place full of wonder and magic that is awe inspiring for not only children but adults alike. There are thrill ride attractions with twists and turns, beautifully detailed scenery that transport the mind, and unique experiences for adults to explore. 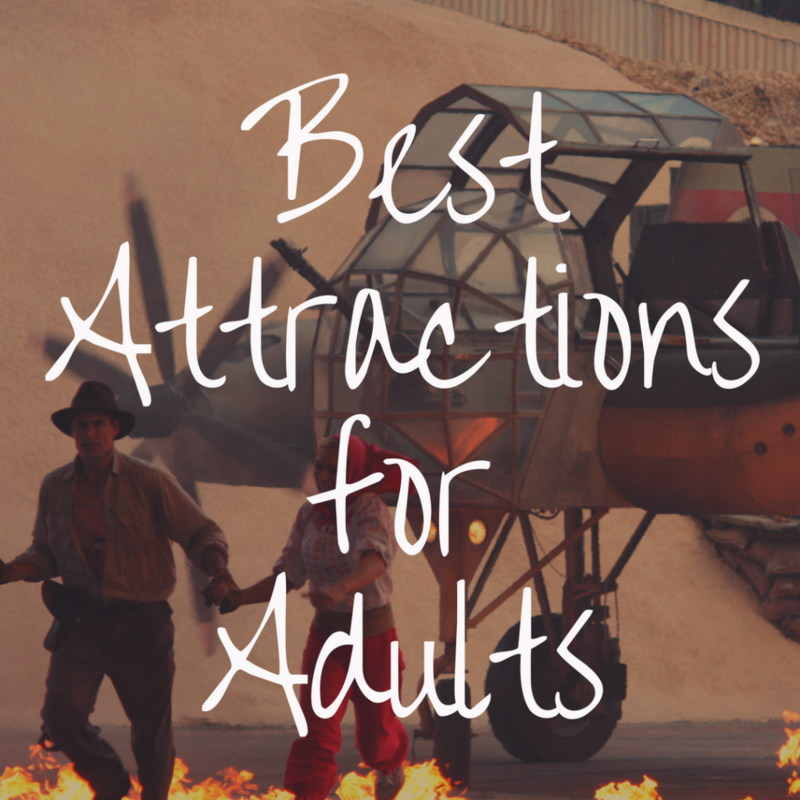 You wouldn’t think all of that would be present at Disney World necessarily, which is why in this article, I’ve compiled a list of the best Disney World attractions for adults. 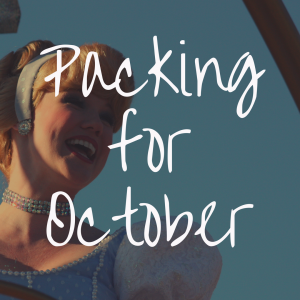 Magic Kingdom is home to Cinderella’s castle and is probably the one theme park most geared towards children, but there are several attractions and experiences for adults to enjoy. This park does have some fun thrill rides. For example, take a journey through the mines with Seven Dwarfs Mine Train. This exciting coaster is full of twists and turns. It is a newer attraction at the park and usually has long lines. This is an attraction that is definitely worth reserving with the FastPass+. Big Thunder Mountain Railroad is another thrill ride attraction that has a few small drops, so it is fun for adults and children. This ride takes guests on a runaway mine train through a haunted mountain. 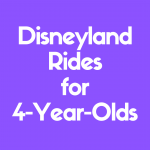 This ride is sure to thrill guests and is available for reservation through FastPass+. Splash Mountain located near Big Thunder Mountain Railroad provides guests the adventure of a thrill ride along with the refreshment of a water ride. Guests will board a log boat and follow Br’er Rabbit as he searches for his “laughing place”. With three dips, a 5-story drop and 950,000 gallons of water, this ride will not disappoint. Another ride to thrill adults is Space Mountain. For this coaster, guests board an open rocket ship and explore the greatest reaches of outer space. This ride has big drops in a mostly dark environment. It’s fun, fast, and exciting. Even though Space Mountain has been around for years, it is still a popular ride, and guests should try to secure reservations for FastPass+. Magic Kingdom is developed to give homage to childhood favorites like Peter Pan, Pirates of the Caribbean, and Little Mermaid just to name a few. These attractions bring nostalgia to guests and remind them of simpler times. Though these types of attractions are not thrill rides, they are fun to ride and take you down memory lane. Another attraction that is not a thrill ride but is educational and worth a visit is the Hall of Presidents. This attraction is located in Liberty Square. The Hall of Presidents is an animatronic show that features all 44 presidents and provides a history of the United States. Guests will enjoy iconic speeches from John F. Kennedy, Abraham Lincoln, George Washington, and Barack Obama. To end your magical day at Magic Kingdom, all adults will enjoy the firework display. This beautiful spectacle lights up the sky and Cinderella’s Castle. These beautiful fireworks illuminate the sky while filling the park with wonderful Disney melodies. It is the picture-perfect ending to a magical day. For more, you can read our article on Magic Kingdom Attractions at Disney World. Animal Kingdom is a park that brings the magic of nature and animals to guests. There are many attractions that will delight adult guests from thrill rides to beautiful nature trails. Animal Kingdom has much to explore. A great place to begin your exploration is the Maharajah Jungle Trek. This is a self-guided tour in of Southwest Asia. On these trails, guests will enjoy lavish plants and singing birds. There are waterfalls, murals, and of course animals. Guests may see any of the following animals during their exploration. For a peaceful, tranquil walk, adults can surround themselves with beauty and nature with the Discovery Island Trails. Guests can enjoy amazing waterfalls and discover animals along the trails. The trails take guests down to the tree of life for a close-up view of the intricate details and designs of the animals carved into the tree. Adult guests looking for more thrills than tranquility can also enjoy this park. Animal Kingdom has some fun and interesting thrill attractions. Let’s start with a climb up Mount Everest on Expedition Everest. Take a train through the Himalayan mountains while avoiding the Abominable Snowman on this great rollercoaster. A FastPass+ reservation is highly recommended for this attraction. Kali River Rapids is an awesome water ride where guests can enjoy a river boat ride through a luscious jungle. Once on the boat, guests will begin down the river full of geysers, waterfalls, and a 20- foot drop. Kali River Rapids is a perfect mix of thrill and water for guests to cool down in the hot Florida sun. One of the best animal encounters that Walt Disney World has to offer is located at Animal Kingdom. The Kilimanjaro Safari gives guests a close-up encounter of real animals of Africa. This is a guided tour in an open vehicle where guests can view hippopotamus, lions, multiple deer species, giraffes, baboons, and more. Due to the nature of animals, each experience is different and unique for guests making this a must-do attraction. Animal Kingdom has some great shows for guests to experience. Some are musicals and others involve exotic birds. Flights of Wonder is just that. It’s a fascinating show with 20 different species of birds. Learn and explore the nature of these interesting creatures in this humorous show guaranteed to make you laugh and marvel at these magnificent birds. Finding Nemo: The Musical is an attraction that all guests can enjoy. It’s a musical adaptation of the Pixar movie Finding Nemo. 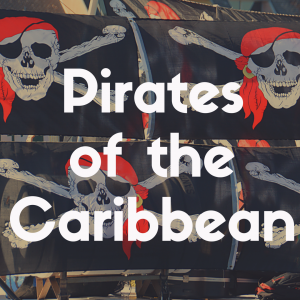 Performed on stage with vibrant colors and sets and performed with puppets, this musical will thrill all adults. No trip to Animal Kingdom can be complete without the Festival of the Lion King. Join Simba and his friends for the retelling of the classic The Lion King. There is great music, trapeze performers, flaming fires, and animatronics. This show will get everyone cheering and singing some of your favorite classics. Now guests can enjoy more at the Animal Kingdom with extended hours and evening entertainment. Adults will enjoy the new, beautiful Pandora-The World of Avatar. Guests will be able to soar of the vast moon on the back of banshees on the Avatar Flight of Passage. There is the stunning bioluminescent rainforest Na’vi River Journey and impressive hikes among mountains and remarkable vegetation in the Valley of Mo’ara. Finish the evening with Rivers of Light. This is a river boat show with wonderful music and a fantastic light show that illuminates the night and celebrates the beauty of nature. This the best ending to a day full of laughter, thrill, and nature. For more, you can read our article on Animal Kingdom Attractions at Disney World. The World Showcase is full of adults attractions. 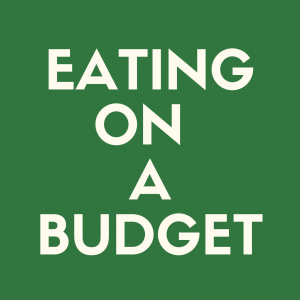 There is unique food, shopping, drinks, and entertainment. The World Showcase represents 12 different countries. Each country has food and shopping representative of the countries culture. There are a few thrill rides at Epcot. Soarin’ is a thrill ride that is designed to mimic hand gliding. This ride takes guests through some amazing scenes. See great wonders around the world such as the Great Wall of China or Sydney Harbour. Test Track is another fun thrill ride at Epcot. Guests begin by designing a concept car. Then this ride simulates riding in a concept car to test the vehicles handling, maneuverability, eco-friendliness, and speed. The track is almost a mile long and goes up to 65 mph. Living with the Land boat ride is a unique experience. This gives guests a behind the scenes tour of the living laboratories of Epcot. View innovative horticulture practices and seafood farms which are used to prepare dishes at the Sunshine Seasons and Garden Grill Restaurant. Innoventions Pavilion is a great way to escape the heat. This pavilion is dedicated to science and technologies. There are different activities and exhibits. The exhibits change. Currently, Innoventions Pavilion is exhibiting Colortopia Presented by Glidden with different interactive activities regarding the way color effects our lives. IllumiNations: Reflections of Earth is a beautiful firework display celebrating the human spirit. It starts with the birth of the earth, then the triumph of life, and then the hopes for the future. Like other firework shows hosts by Walt Disney World, it completes a magical day at the park. Festivals are another great attraction at Walt Disney World for adults. Epcot hosts three festivals throughout the year. Epcot International Festival of Arts celebrates the arts such as musical, paintings, and culinary arts. This festival is hosted in January and February. The Epcot International Flower and Garden Festival is hosted in May and is a celebration of Spring and life. There are topiaries, gardens, and informative demonstrations. The last festival begins September and ends mid-November. The Epcot International Food and Wine Festival celebrates music, food, and drinks. There are bourbon, beer, and wine tastings, and seminars. 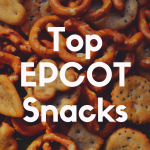 For more, you can read our article on Epcot Attractions at Disney World. The Twilight Zone Tower of Terror is always a thrill–you just have to have the stomach to survive an elevator drop! Guests can also take a ride down the fast lane while rocking to so awesome tunes. Rock ‘n’ Roller Coaster is just that kind of ride. Guests hop into a stretch limousine and enjoy a speeding ride with Aerosmith, swoops, and turns for a thrilling ride. One attractions adults may over look, but it definitely worth the time is the Citizens of Hollywood street show. This is a street show where cast members crack jokes improve style. Dressed to celebrate the Golden Era, these street performers use the audience to poke fun at each other and make the crowd laugh. Beauty and the Beast at Hollywood Studios is a live stage performance that captures the romance and magic of Beauty and the Beast. The music, costumes, and scenes brings the story to live for guests. Hollywood Studios offers two different firework displays. Both are a must see for Walt Disney World guests. Fantasmic Show and Fireworks takes guests on a journey with Sorcerer Mickey while he fights classic Disney Villains. This show has fireworks, music, and excitement. This is definitely a must-do for guests. Disney’s Hollywood Studios also presents Star Wars: A Galactic Spectacular. This show is only on select nights so guests must plan ahead. This firework spectacular puts guest in the center of iconic Star Wars scenes. The combination of pyrotechnics, music, projections, lighting, and lasers is awe inspiring. Both shows are great ways to end your day at Hollywood Studios. For more, you can read our article on Hollywood Studios Attractions at Disney World. Disney Springs is another great stop for adults visiting Walt Disney World. There is shopping, food, drinks, and entertainment. There are more than 50 different brand names stores and Disney inspired stores such as Anthropologie, Kipling, and Mac Cosmetics. There are a variety of culinary experiences from bakeries like Amorette’s Patisserie to drinks at Dockside Margaritas. Adults can choose fine dining establishments like Paddlefish to delightful sandwiches from Earl of Sandwich. Disney Springs also provides unique and fun entertainment. Guests can enjoy live entertainment for establishments like House of Blues or Paradiso 37. If outdoor entertainment is more your style then catch some different live entertainment throughout Disney Springs. There are several different outdoor stages set up where guests can indulge in some cool drinks, nice weather, and relaxing music. There are also two water parks that have lazy rivers, tide pools, and water slides. There is a golf course and miniature golf all available for guests to enjoy. Even Walt Disney World hotels keep adult guests in mind by providing relaxing spas, pools, and beautiful scenery to enjoy. Walt Disney World may be known as the most magical place on earth, but this magic is not just for kids. There are many attractions and activities at Walt Disney World for adults to enjoy while on vacation. There are thrilling rides, musicals, food, and drinks all available for adults to relax and take a trip down memory lane.